Liverpool full back Andy Robertson has leapt to the defence of teammate Mohamed Salah after the Egyptian was once again accused of diving to win a penalty on Saturday. The Reds were awarded their fourth penalty in as many league matches when Salah went down under a challenge from Pascal Gross, before scoring from the spot to give the Reds a priceless 1-0 victory. ​Brighton fans booed ​Salah afterwards, but replays showed that Gross had made contact with the Egyptian, and even Seagulls manager Chris Hughton admitted that it was the right decision. Robertson backed his teammate and suggested that opposition teams were only claiming Salah had dived out of desperation. "Every time it happens, we go back, everyone looks at the video, and you go, 'Well, it's not a dive'," said Robertson, quoted by FourFourTwo. "He is not that sort of player, so how many times is it going to happen? "I was at the edge of the box and it was a stonewaller. If people are starting to say Mo has gone down easily, it's not fair. "The one against Arsenal, especially, he got clipped three times. They still appealed. It's a bit of desperation." 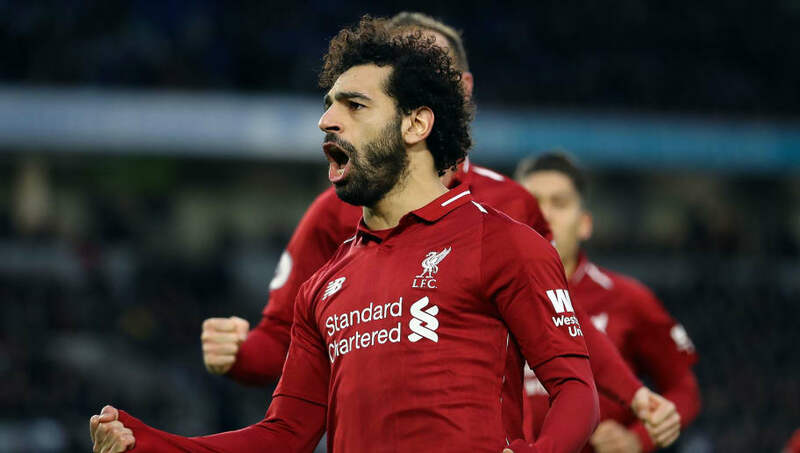 Salah's goal took him level with Pierre-Emerick Aubameyang and Harry Kane in the race for the golden boot as he scored his 14th goal of the season and his first of 2019. The narrow victory restored ​Liverpool's seven point cushion at the top of the Premier League, although Manchester City will reduce that to four again if they beat Wolves on Monday evening.